On the first Wednesday of March we broadcasted the first episode of our new talk show ‘Loose Learners’. John Johnston is a primary school teacher in Scotland and Mariana Funes is a Psychologist teaching in higher education. The idea of the show is to explore interesting issues that affect those of us who use the web for educational purposes in some way. 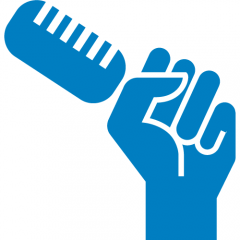 We plan to run the live show the first Wednesday of each month for the foreseeable future. The next show is planned for April 5th, 2017. A site that teaches us about just how much information browsers can track in a fun way. Max Braun built a fully automated bot that analyzes Trump’s tweets and buys or shorts a company stock depending on whether Trump praised or disparaged it. If you are in the UK: Carole Cadwalladr will be hosting a discussion on technology’s disruption of democracy at the Bluedot festival, Jodrell Bank, Cheshire, 7-9 July. We spent the second section of the show introducing IndieWeb ideas. We plan to come back to emerging tech that offers a counterpoint corporate web for balance and because we enjoy new ideas. The final section introduced the idea of Digital Mindfulness. Marshall McLuhan asked, “How are we to get out of the maelstrom created by our own ingenuity?” Digital Mindfulness or Intentional Technology are movements that have emerged to help us find a still point in that maelstrom. Mariana created http://daily.stillweb.org (@livedtime on Twitter) offering short activities to find pause and stillness if in the busy day. Digital Mindfulness will also be a regular section of the new show. We wrapped up the show letting people know about the upcoming preview for the #OER17 conference for those interested in open online education. 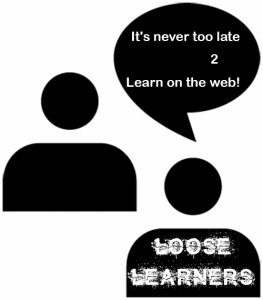 Loose Learners will be learning and living on the web and taking time to share our findings with you in the upcoming months. Our hashtag on Twitter #llearn and on Twitter you can find us at @johnjohnston and @mdvfunes – send us interesting links you want us to discuss.